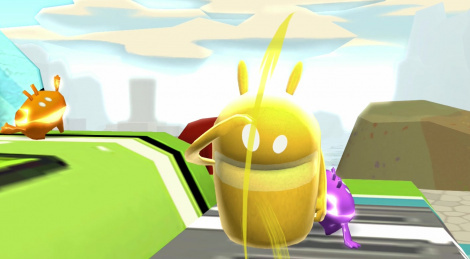 The Nintendo Switch welcomes one more port with de Blob, which was originally released on iOS devices and Nintendo Wii. About a bit more than a year ago, a PC version was made thanks to THQ Nordic, so it is no real surprise to see the little painted show up on Switch. Though a bit repetitive in essence, the game is a lot of fun on a console which can become a handheld at will, making short sessions even more of a possibility. Note that playing in dock mode will allow you to enjoy a 60 frames per second framerate while handheld mode seems to be locked at 30 from what we've seen. 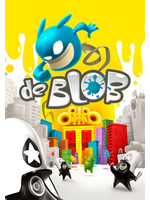 de Blob is clearly a pleasant title to play during the summer, colorful and funky/jazzy/etc. depending on the main character's mood. Take a look at our videos showing the entirety of the first level.